Land within major California seismic faults could sink by between 1.5 and 3 feet in a matter of seconds, causing catastrophic devastation, says a new study. 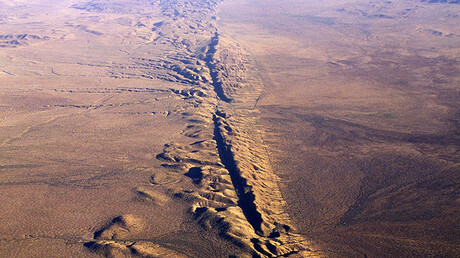 It also shows that the Newport-Inglewood fault is more active than previously thought. 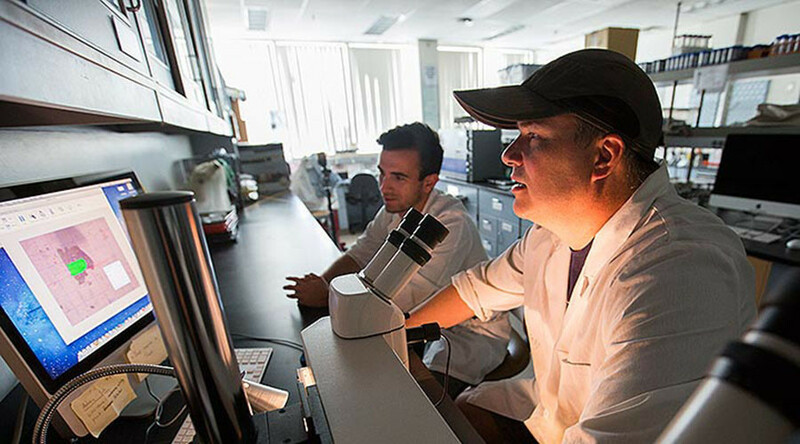 Leeper’s team took 55 samples at the Seal Beach National Wildlife Refuge in southern Los Angeles, by submerging 20-feet pipes that collected samples of the sediment, initially looking for evidence for a prehistoric tsunami. Instead, the team from Cal State Fullerton found an identical pattern, of living vegetation suddenly dropping and being buried underneath the ground. The earthquakes likely occurred around 50 BC, 200 AD and finally in 1450 AD. The scientists drew two conclusions: a 6.4 Richter scale earthquake in 1933 did not cause the same sinking, suggesting that the older tremblors on the fault, which stretches between LA and San Diego, were probably between 6.8 and 7.5. 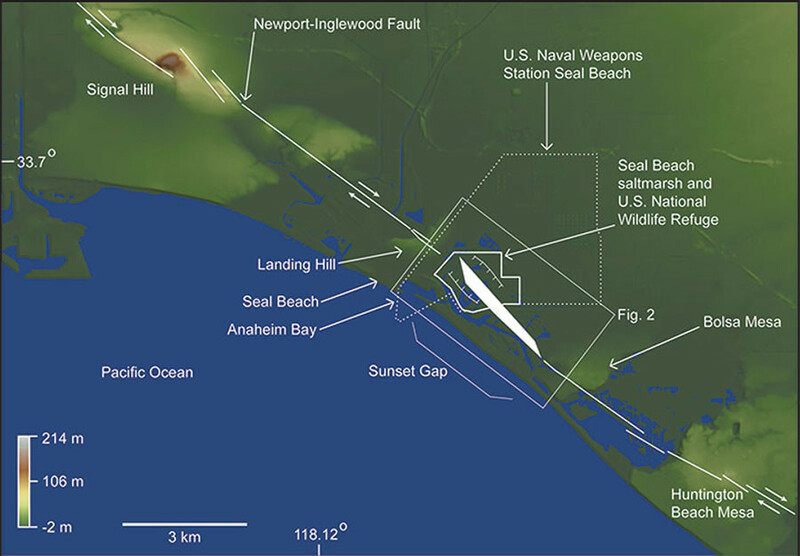 Leeper said that this means that a major earthquake could happen on the Newport-Inglewood once every 700 years, not 2,300 years as had been previously assumed. Secondly, the shape of the depression studied by Leeper is repeated in other faults in the state, and a serious earthquake at any of them could cause the same sinking effect. While the authors suggested that further study is needed of other depressions, Kate Scharer, a USGS research geologist, told the LA Times that if a rapid tremblor-triggered sinking would occur, the effects could be catastrophic, demolishing pipes, lines, roads and other infrastructure not designed for such ground level fluctuations.